The planet-looking object in the image now looks like a portal into another dimension. 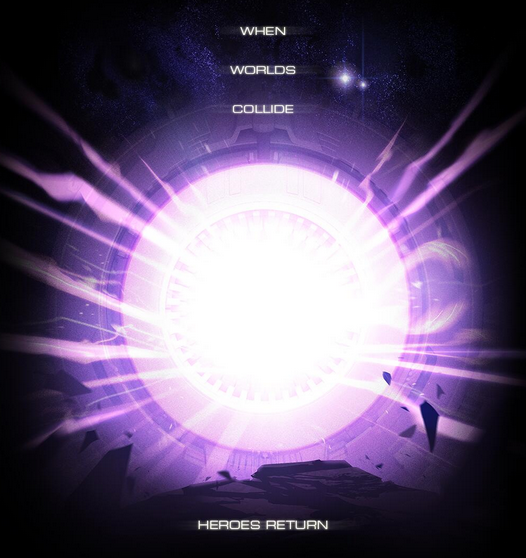 They also finished the phrase from yesterday with ‘Heroes Return’. But the biggest news is, we know Insomniac Games is behind the helm of this project. But what could it be? We’ll find out tomorrow officially but rumor has it that it’ll be a new Ratchet & Clank title with the subtitle Into the Nexus as GameRevolution found some pictures of PSN users playing said title.